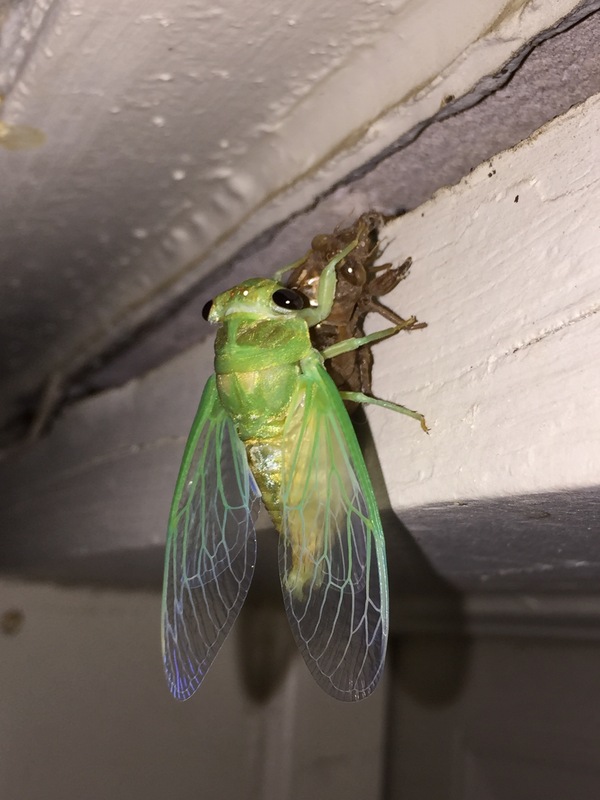 I have been holding onto a few pictures and videos over the last three years hoping to share clips of what I have experienced in seeing cicadas. Thanks to an iPhone 5 in 2013 and now an iPhone 6 plus, here are some nice images and videos. 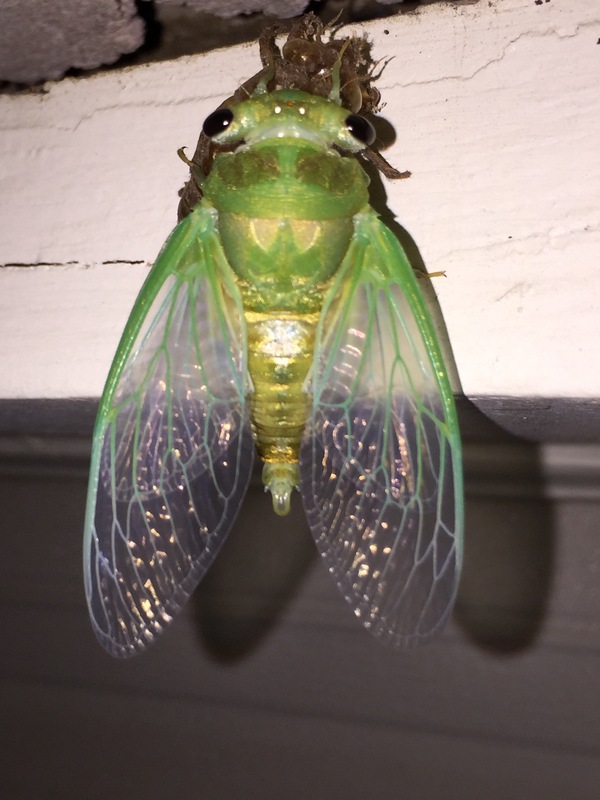 The first time I remember hearing a Cicada as a child was when my family moved to Albany, Georgia. We were in the middle of small town America having come from Cleveland, Ohio and Houston, Texas. As the Roman Catholic Church teaches that a child is ready for the sacraments of Confession and the Eucharist when they obtain the age of reason…it must about then that I began to notice the world outside of myself. Over 35 years later, I have come across to Chicharras coming out of their shells. In the summer of 2013, a group of faculty members from Western Academy attended a performance at the Roundtop Music Festival celebrating the 4th of July. That evening we were able to visit Winedale, TX, a nearby town for dinner. 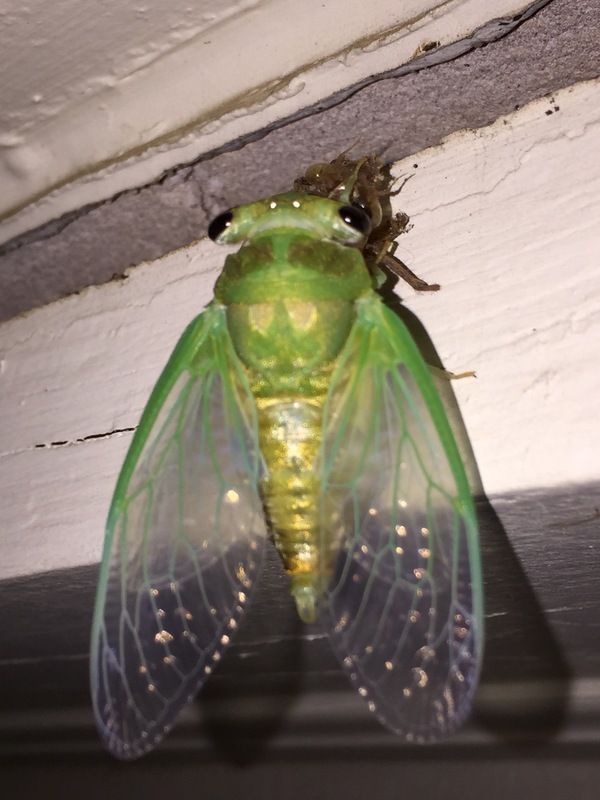 As we walked around the town we came across the a Cicada coming out of its shell. 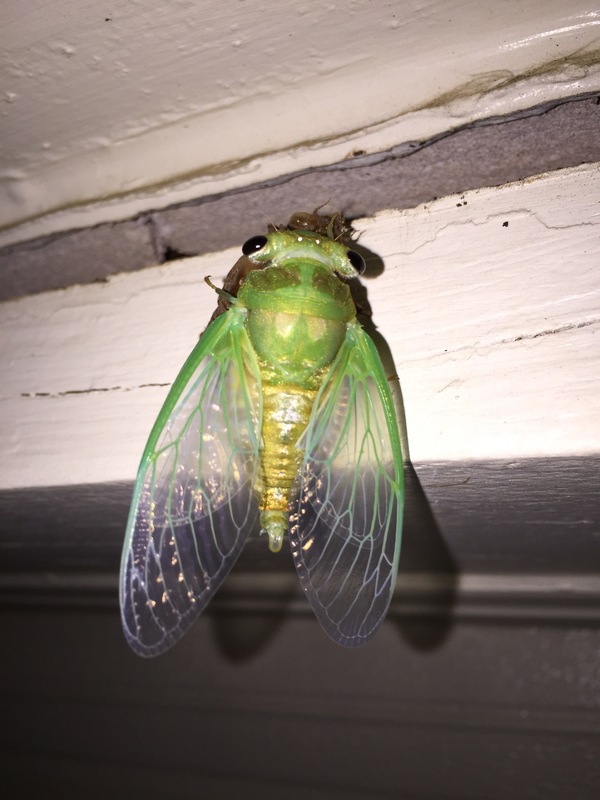 A group of 10 teachers watched and discussed the cicada for about 10 minutes. 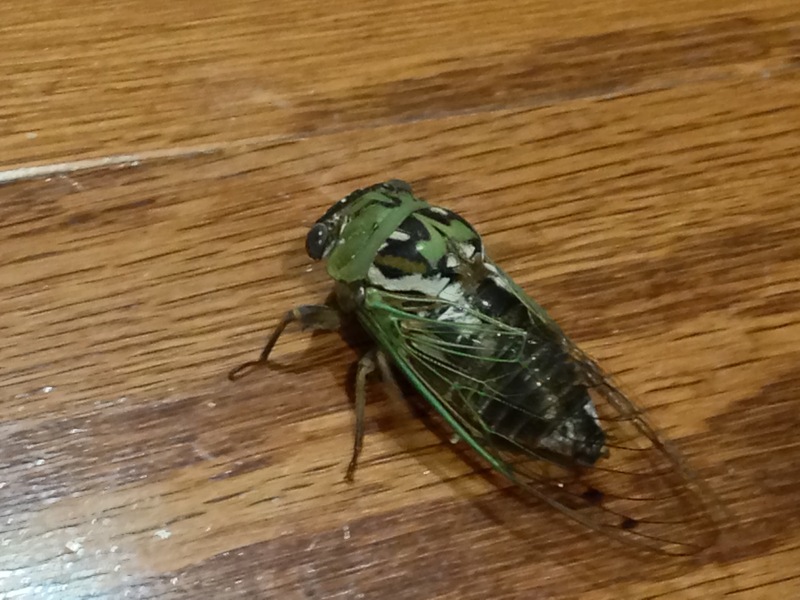 Later that summer in Schulenburg, Texas, we found a cicada on a classroom table. 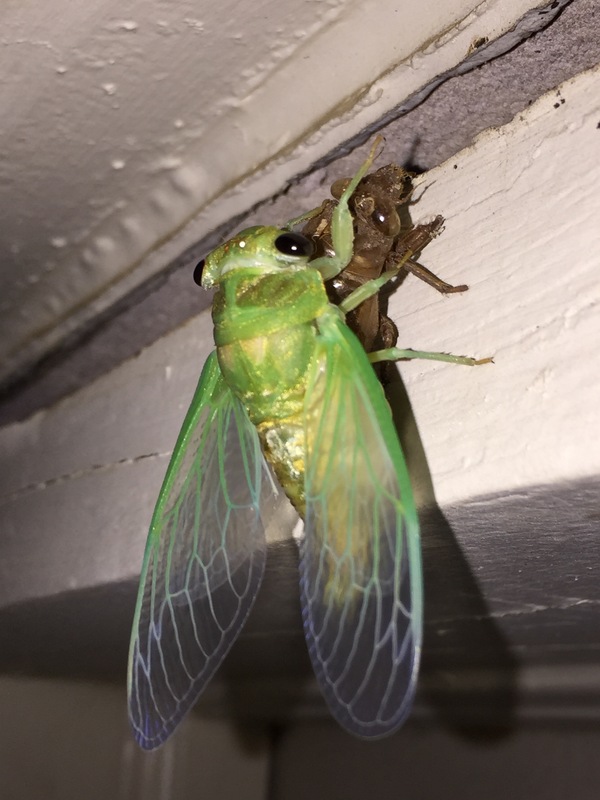 A couple of evenings ago, a few of my children and I were outside in our driveway and we came across a Chicharra already out of its shell and just waiting for its wings to dry before it flew into a tree and made the noise we are all familiar. You may a hear a little commentary as they discussed what it was doing. 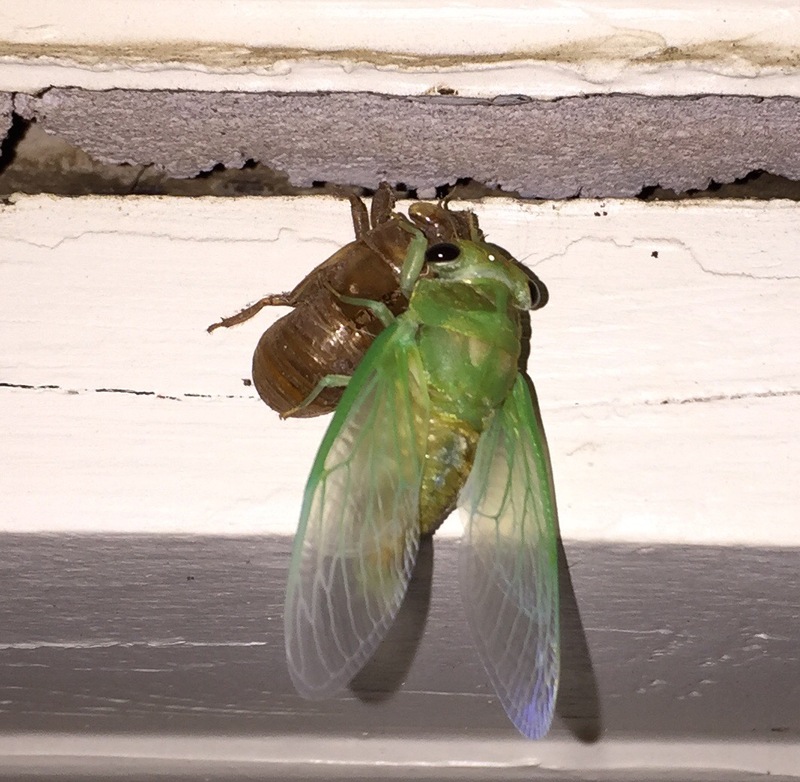 Cicadas live up to seven years in warm temperate and tropical type climates. 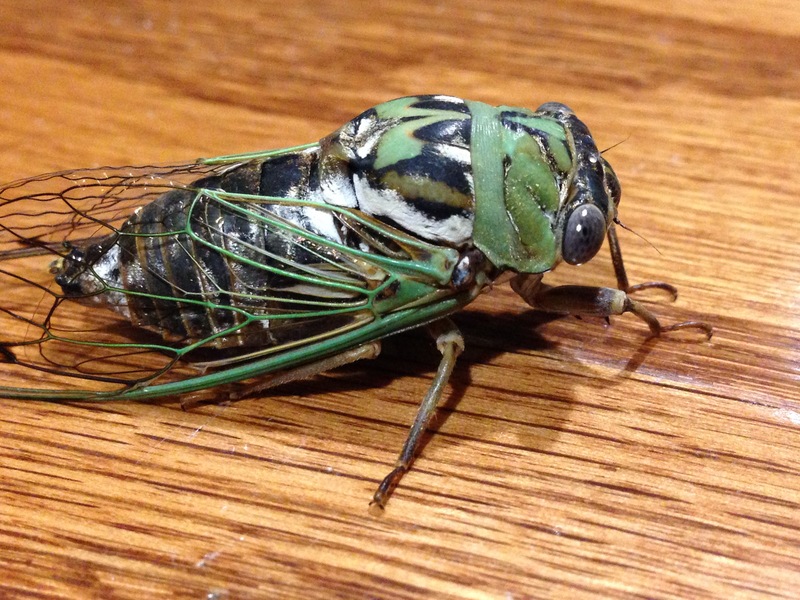 Their name comes the Latin, cicada, meaning tree cricket.